drwxr-xr-x   2 root root  4096 Jun 20 18:30 .
dr-xr-xr-x. 27 root root  4096 Jun 20 18:30 ..
- [Info] Please review the password policy before setting the new password. 1. Passwords must contain at least eight characters. 2. Passwords must contain at least one lower case letter (a-z) and one number (0-9). 3. Dictionary words are considered weak passwords and are not accepted. 4. The last seven passwords cannot be reused, and the new password cannot be similar to previous passwords. - [Info] NetBackup CLI user 'user' has been created successfully. drwx------ 2 user nbusers  4096 Jun 20 10:03 .
drwxrwxr-x 4 root nbusers  4096 Jun 20 10:03 ..
After you finish configuring the appliance, you cannot change the host name until you perform a factory reset on the appliance. - [Info] Setting the hostname to "alhnbapp01". - [Info] It may take several minutes to validate the hostname, apply the hostname to NetBackup and restart the NetBackup processes. - [Info] Restarting the web service. The NetBackup Appliance Web Console is not available until the restart is completed. The restart may take a few minutes. 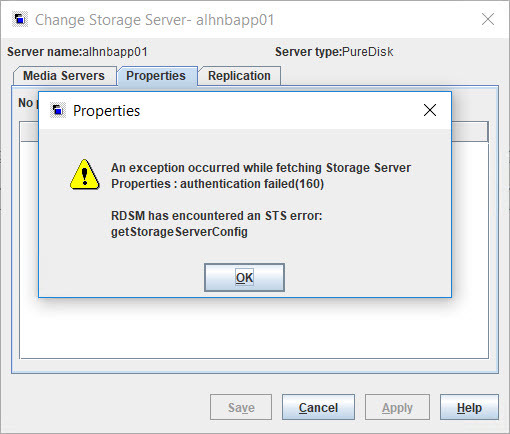 - [Info] Hostname set successfully. drwxrwxr-x 4 root nbusers  4096 Jun 20 10:37 .. WARNING - If new certificates are deployed on the media servers or clients after NetBackup master server installation, certificates on those hosts should be redeployed. To identify the hosts that need certificate redeployment, go to NetBackup Administration Console > Host Properties > Clients. This process requires you to restart the NetBackup services. Veritas strongly recommends that you immediately perform catalog recovery after the execution of this command. 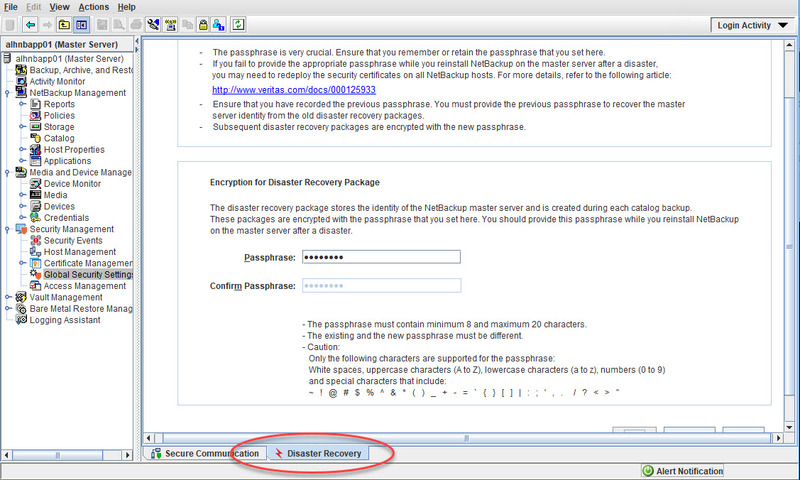 Enter the passphrase for the disaster recovery package. The passphrase is used to decrypt the disaster recovery package that you want to import. The NetBackup database process has successfully started. The database process has stopped successfully. The host identity is successfully imported. The host identity import is complete. Start all NetBackup processes. Veritas strongly recommends that you immediately perform catalog recovery. Command is successfully carried out. Después arrancaremos los servicios con “bp.start_all” y comprobaremos que se ha restaurado los certificados, los token y la configuración de seguridad conectándonos con la herramienta de administración. Ahora que ya tenemos restaurados los certificados, es necesario configurar el appliance como master server . Es importante respetar el nombre, la zona horaria y la configuración de almacenamiento. 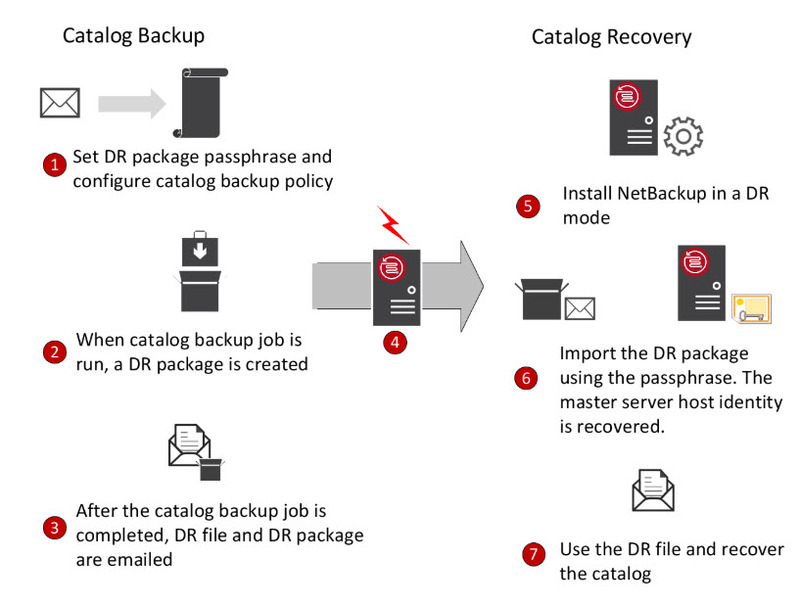 Welcome to the NetBackup Catalog Recovery Wizard! Waiting for the security services to start operation. 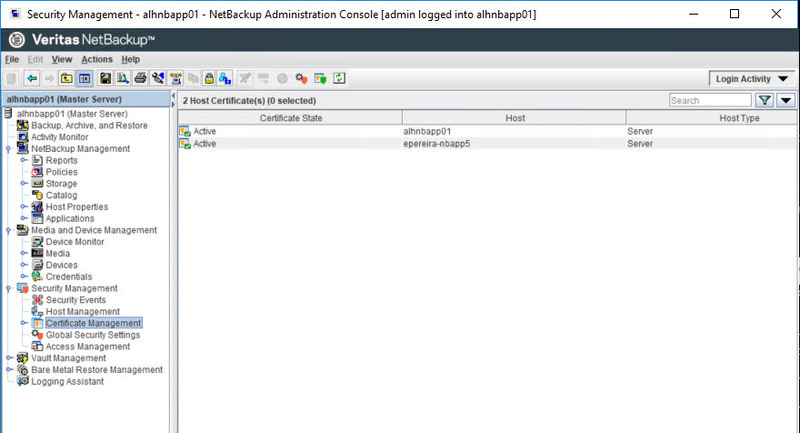 nbatd is successfully configured on NetBackup Master Server. WRN - Passphrase for the disaster recovery package is not set. You must set the passphrase for the catalog backups to be successful. INF - Catalog recovery has completed. WRN - NetBackup will not run scheduled backup jobs until NetBackup is restarted.